Jane Means (Appleton) Pierce (1806-1863) was the daughter of a New Hampshire Congregational minister and president of Bowdoin College. 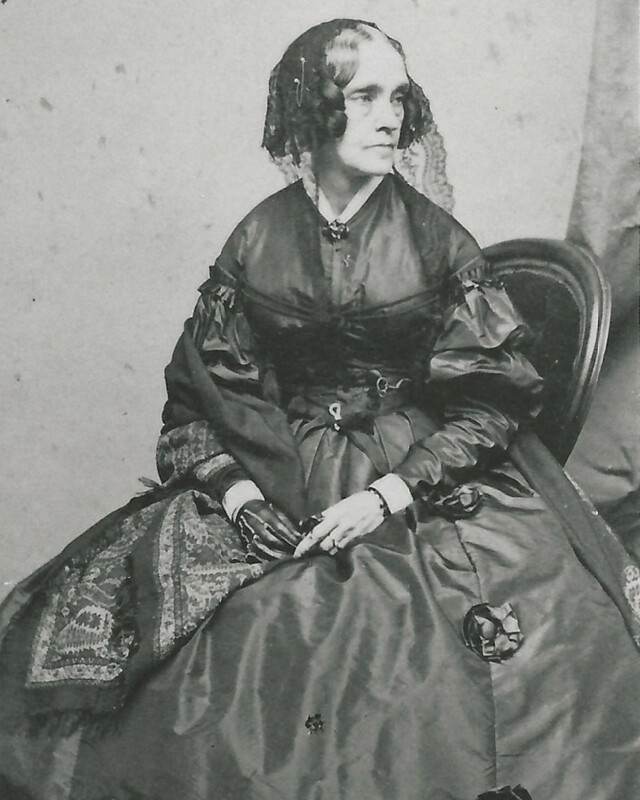 She married then-Congressman Franklin Pierce in 1834. She was a petite and attractive woman, but fell into depression and delicate health after the deaths of two young sons. She found both the climate and the rowdyism that characterized life in Washington, D.C. unbearable, and began a pattern of long visits with her sister Mary Aiken in Lowell and then in Andover, during her husband’s two terms in the House and one in the Senate. In 1852, a deadlocked Democratic Party convention nominated Pierce for President. He had not sought the nomination, but he reportedly believed that the office would bestow great advantage on his remaining son, Benjamin. To Jane’s great dismay – she reportedly fainted when she heard the news – her husband was elected. After spending Christmas 1852 with the Aikens in Andover, the Pierces returned to their home in Concord, NH to pack for their move to the White House. On January 6, 1853 they boarded a northbound train that, shockingly, derailed about two miles out of the Andover Station. Eleven-year-old Benny, who had been standing and looking out the window, was killed in full view of his parents. Jane Pierce believed that Benny’s death was divine retribution for her husband’s ambition and fell deeper into melancholy. She continued to divide her time between the White House (where she only rarely appeared in public) and the “Summer White House” at 48 Central Street in Andover. She died in Andover of tuberculosis in 1863.